With growing concern about the conditions facing low wage workers and new challenges to traditional forms of labor market protection, this book offers a timely analysis of the purpose and effectiveness of minimum wages in different European countries. 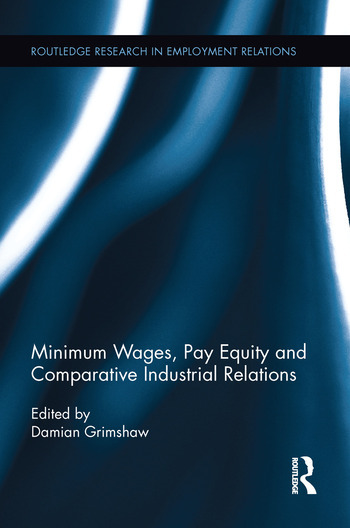 Building on original industry case studies, the analysis goes beyond general debates about the relative merits of labor market regulation to reveal important national differences in the functioning of minimum wage systems and their integration within national models of industrial relations. There is no universal position on minimum wage policy followed by governments and social partners. Nor is it true that trade unions consistently support minimum wages and employers oppose them. The evidence in this book shows that interests and objectives change over time and differ across industries and countries. Investigating the pay bargaining strategies of unions and employers in cleaning, security, retail, and construction, this book’s industry case studies show how minimum wage policy interacts with collective bargaining to produce different types of pay equity effects. The analysis provides new findings of ‘ripple effects’ shaped by trade union strategies and identifies key components of an ‘egalitarian pay bargaining approach’ in social dialogue. The lessons for policy are to embrace an inter-disciplinary approach to minimum wage analysis, to be mindful of the interconnections with the changing national systems of industrial relations, and to interrogate the pay equity effects. Damian Grimshaw is Professor of Employment Studies at the Manchester Business School, University of Manchester, UK and Director of the European Work and Employment Research Centre (EWERC).